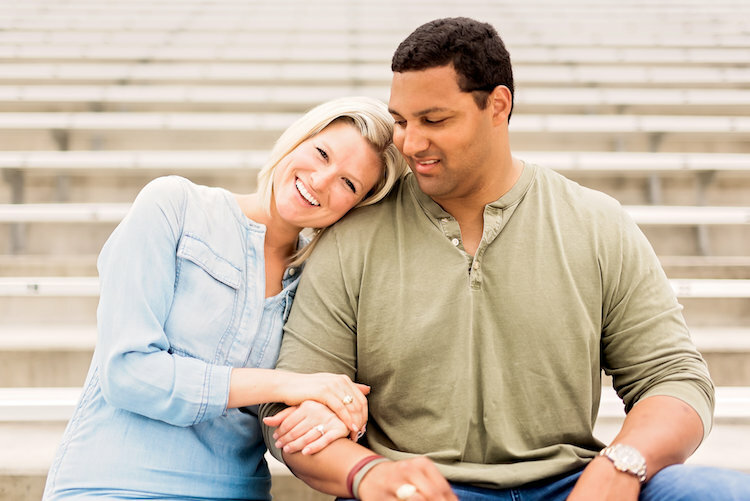 Pure love was captured in our playful engagement shoot with Roy and Kailee. The couple posed effortlessly and their love for each other was definitely noticeable. 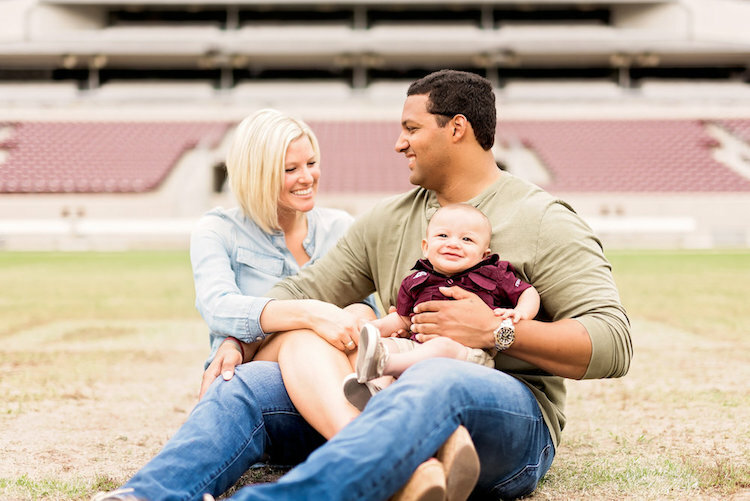 We greatly enjoyed getting to know Roy, Kailee and their beautiful son. 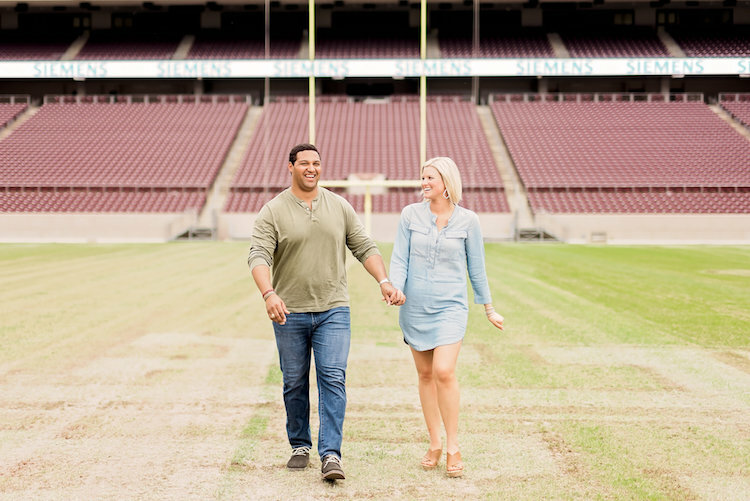 Kyle Field at Texas A&M served as a flawless backdrop for the couple’s memorable session. We had no trouble making the engaged couple feel comfortable at their alma mater.  Here are our favorite images from our shoot with Roy and Kailee, enjoy!